1. A gorgeous long-sleeve dress that'll make you look and feel like royalty (read: Kate Middleton on her wedding day). 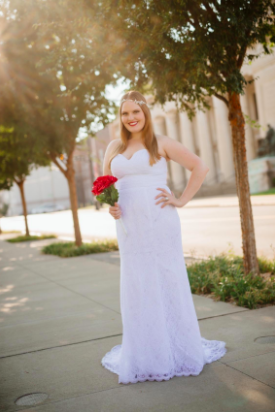 Get it from David's Bridal or Amazon for $599 (available in sizes 16-26 and two colors). 2. A sparkly 1920s-inspired dress worthy of the most stylish flapper. It's covered in faux-pearls and has a dramatic back cowl. Get it from ModCloth or Jet for $300 (available in sizes XXS-XXL). 3. A crepe halter gown to tie the ~knot~ in. Pair with an updo to show off the bow in the back! Get it from Nordstrom for $253 (available in sizes XS-XL and four colors). 4. A high-neck gown with lace-up details on the back that'll have all your guests craning their necks hoping to get a better look at the dress. 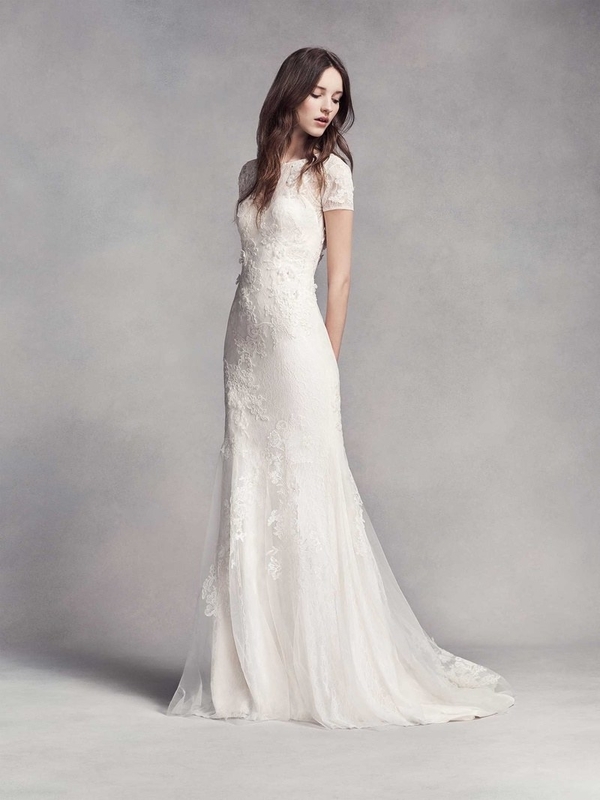 Get it from BHLDN for $2050 (available in sizes 0-14). 5. 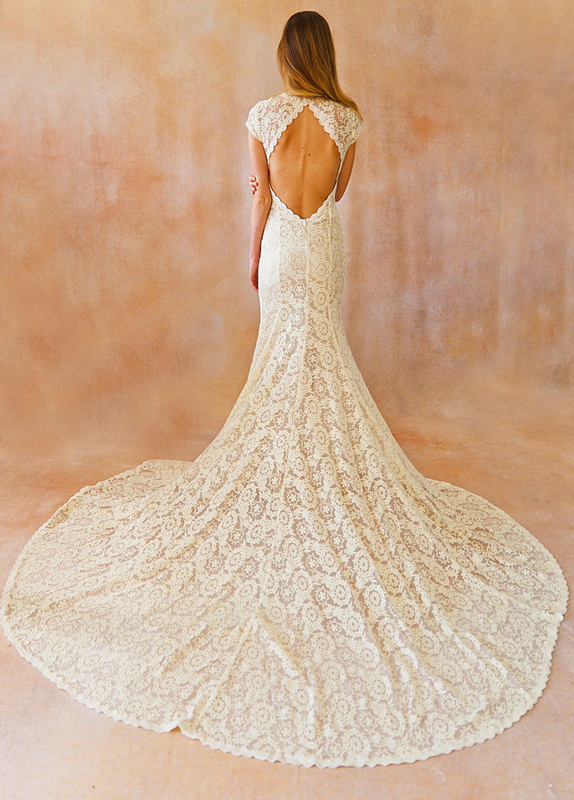 A backless lace gown with an incredibly long train to complete a fairy tale wedding. Get it from DreamersandLovers on Etsy for $1,477 (available in sizes 0-14 and two colors). 6. An elegant off-the-shoulder crepe dress for making an unforgettable entrance. It's surprisingly comfortable to wear! 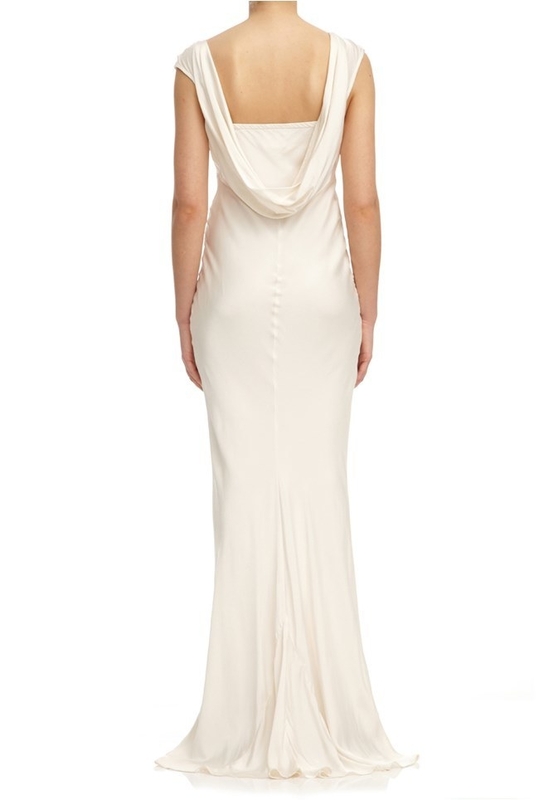 Get it from BHLDN for $900 (available in sizes 0-14). 7. 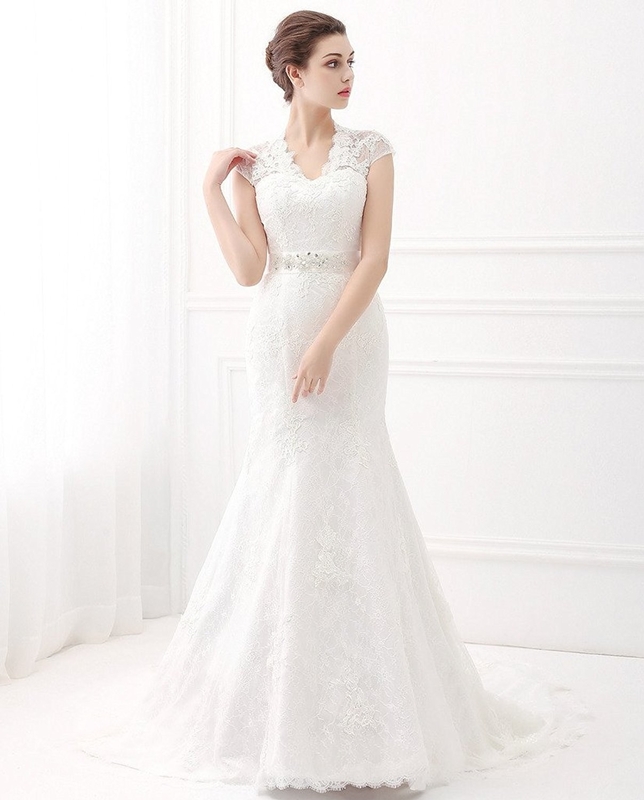 A one-shoulder gown covered in delicate beadwork that's even more stunning in person. Get it from Macy's for $379 (available in sizes 4-14). 8. A gorgeous off-the-shoulder dress with a high-low hemline so you won't have to look down to check if you're stepping on excess fabric. Get it from Whistles for $923 (available in UK size 6-14). 9. A tiered chiffon dress to float down the aisle in — it'll be like wearing an ivory waterfall! 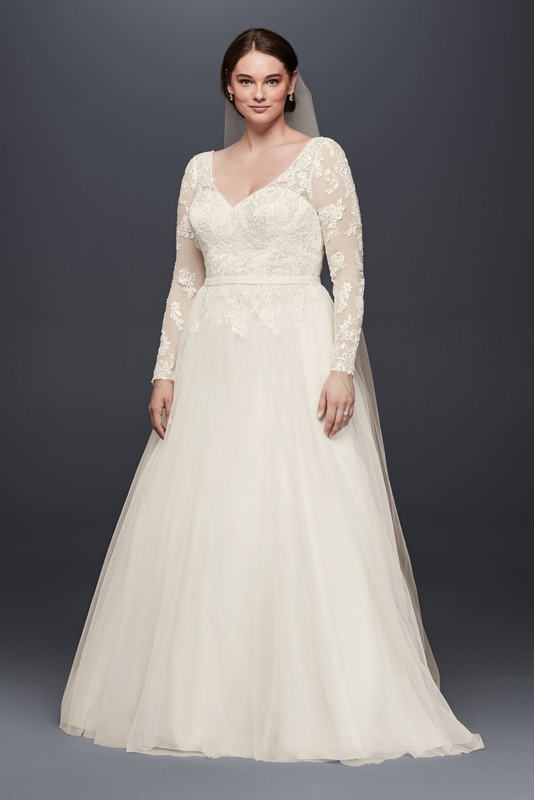 Get it from David's Bridal or Amazon for $783 (available in sizes 16-26 and two colors). 10. A cowl-neck maxi dress (made of 100% silk!) for the free-spirited bride who'd rather wear sandals and her hair down. Get it from Free People for $450 (available in sizes 0-12). 11. A halter gown with a fringe-skirt that'll flutter beautifully as you make your way across the dance floor. Get it from White House Black Market for $385 (available in sizes 2-12). 12. A silver V-neck tulle dress covered in floral applique to make you feel like the belle of the ball (I mean, a wedding is kind of like a ball thrown in your honor). Get it from Amazon for $66.99 (available in sizes 2-16 and eight colors). 13. A simple yet stunning wedding dress with a ruched bodice perfect for a beach wedding or garden soiree. Get it from David's Bridal or Amazon for $399 (available in sizes 16-26 and two colors). 14. A strapless sweetheart number (accented with a sparkly bridal belt) that looks like a million bucks but is actually super affordable. Get it from Amazon for $69.99+ (available in sizes 2-22 and two colors). 15. A dazzling sequin gown with a plunging neckline so you can channel your inner Hollywood star. Get it from Nordstrom for $320 (available in sizes XS-XL and six colors). 16. 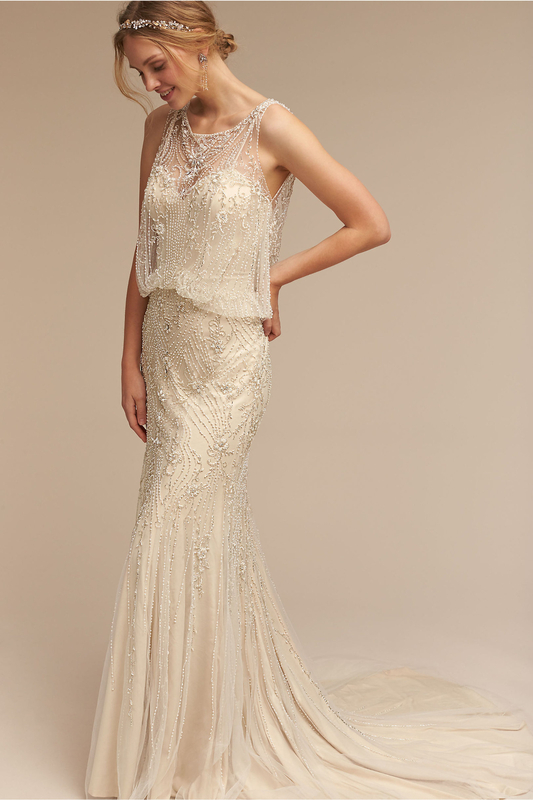 A glamorous Art Deco-style gown covered in delicate beading to make you feel like a 1920s movie star. 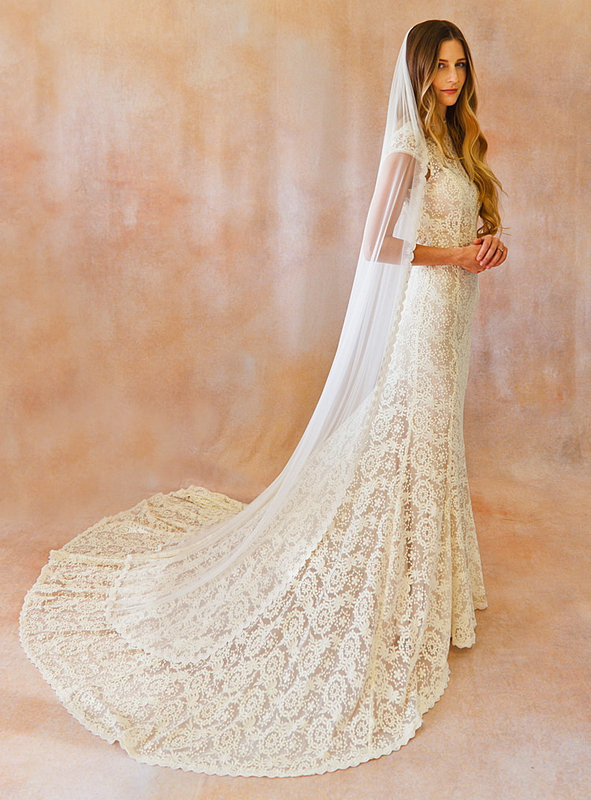 Get it from BHLDN for $2,000 (available in sizes 2-16). 17. A cowl-back satin dress that's actually the same one Lea Seydoux wore in the James Bond film Spectre! (But hers was in dusty green). Get it from Ghost for $298 (available in sizes XXS-XL). 18. An ethereal short-sleeve lace gown so you can fulfill your life-long wish of looking like a fairy princess. Promising review: "I absolutely love this dress. It is very light on the body, the little details are everything, and the train is just the right length to my liking. 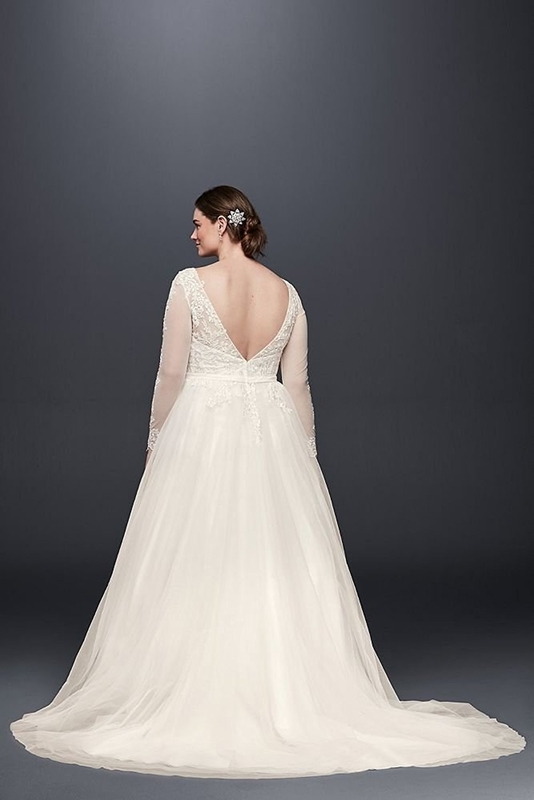 Get it from David's Bridal for $1,148 (available in sizes 0-14). 19. A sleek white dress with a floor-sweeping ruffle hem to melt a minimalist bride's heart. Get it from Neiman Marcus for $418 (available in sizes 0-16). 20. A show-stopping asymmetrical lace gown worthy of a queen. The long train is detachable! 21. A one-shoulder jersey gown accented with a glimmering brooch so you can look red-carpet ready for the big day. Get it from Macy's for $160 (available in sizes 2-18). 22. A maxi tulle dress to swish around in playfully, because even though weddings are hectic, they should still be fun! Get it from Asos for $237 (available in 12-24). 23. An angelic chiffon number that'll look positively heavenly paired with a statement necklace. Get it from Unique Vintage for $96 (available in sizes 4-18). 24. An opulent icy-blue gown so you can look like a real-life Elsa from Frozen — and have something blue for your wedding! 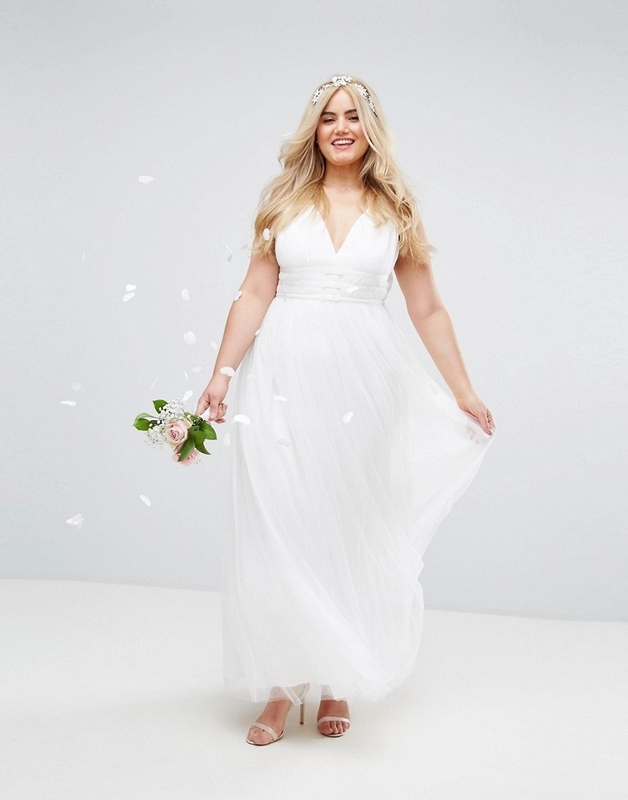 Get it from David's Bridal for $1,008 (available in sizes 0-14). 25. A budget-friendly cross-back maxi dress for the bride who'd rather spend her money on a nice honeymoon but still wants to look amazing. Get it from Missguided for $65 (available in sizes 0-10). 26. A 1950s-inspired tea-length dress to keep your legs/feet free and unrestricted for dancing the night away. Get it from ModCloth for $175 (available in sizes 2-26 and three colors). 27. 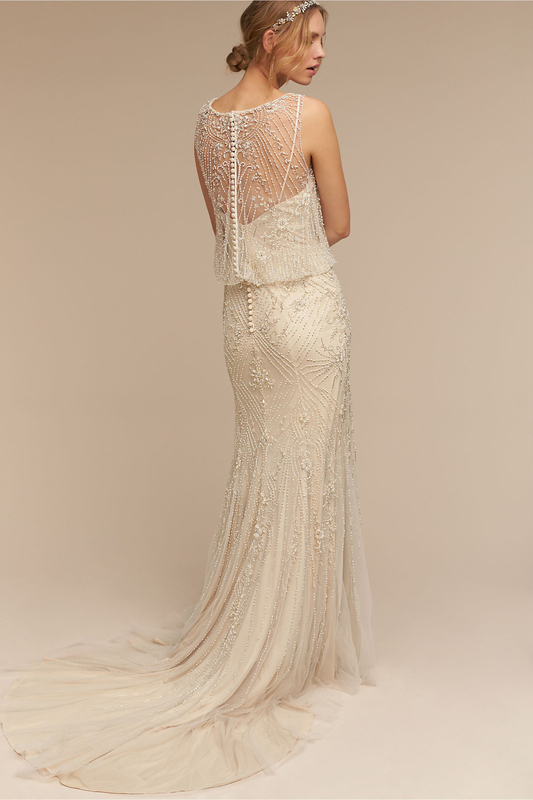 A lacey mermaid gown with a cut-out in the back that'll make for fantastic bridal photos. Get it from Amazon for $139+ (available in sizes 2-26 and two colors). 28. A convertible chiffon gown so you can look like a Greek goddess for your special day. This dress comes with chiffon extensions so you can create different necklines with them! Get it from Forever 21 for $67.11 (available in sizes S-L and two colors). 29. A mermaid gown with a dramatic satin tulle train that'll bring a tear to anyone's eye, because it's just too damn beautiful. 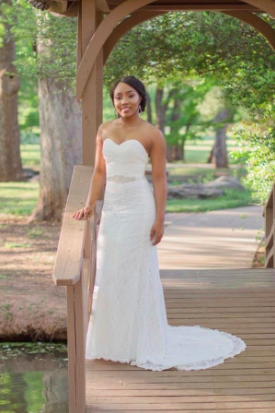 Get it from David's Bridal for $1,008 (available in sizes 0-26).